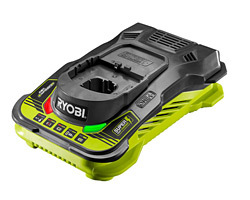 The Ryobi One+ RLM18X41H50 is a cordless 18V Lawnmower that delivers 36V like performance by combining two 18v 5.0Ah batteries using Ryobi’s Lithium Fusion technology. 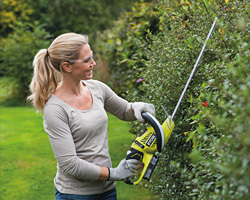 It’s 40cm cutting path makes it perfect for medium sized gardens. 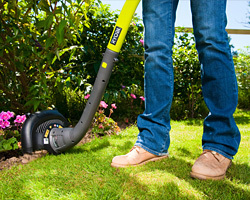 The EasyEdge feature draws the grass in from the side of the mower and into the path of the blade. 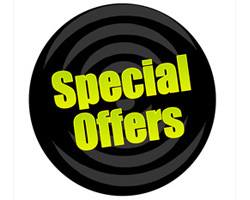 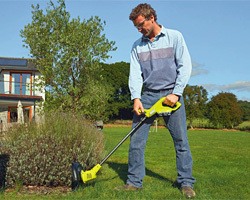 This allows you to mow right up to fences and walls, saving you time and effort by minimising the need for a grass trimmer. 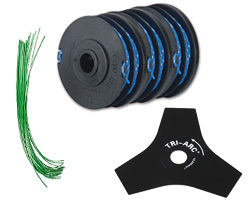 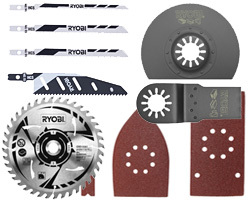 A single-handed, 5-position, 20mm to 70mm cutting height adjustment allows you to achieve the look you want for your lawn. 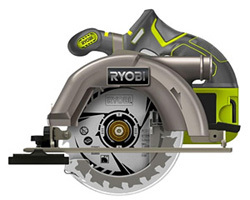 The multiple-position handle allows you to adjust the mower to the perfect height, providing a more comfortable experience and improving manoeuvrability. 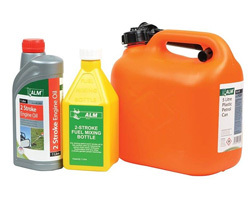 The RLM18X41H50 is easily stored when not in use thanks to its compact folding design and collapsible 50L grass catcher. 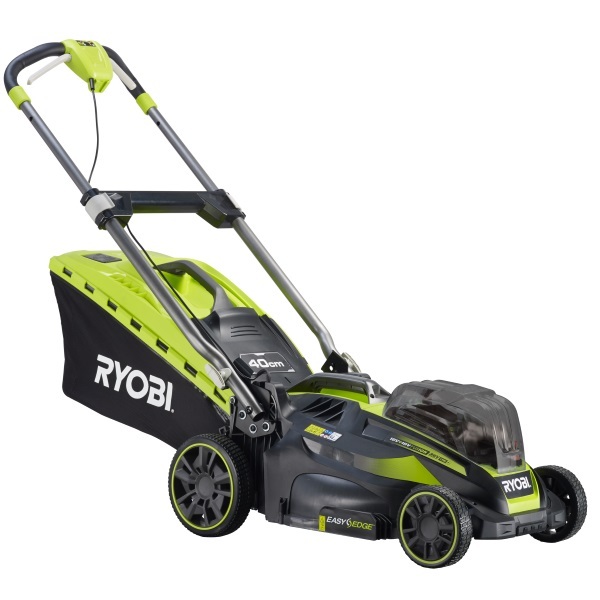 Free from the restrictions of power cords, the RLM18X41H50 allows you to mow without the risk of cutting power cables and eliminates the need for extension leads. 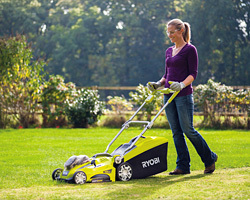 Quieter than a petrol mower, the motor requires no maintenance, produces no emissions, and removes the need to store petrol. 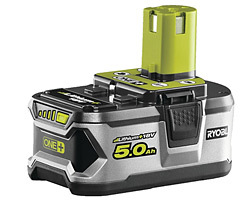 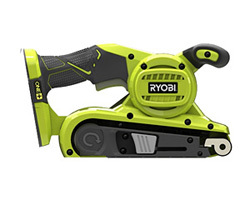 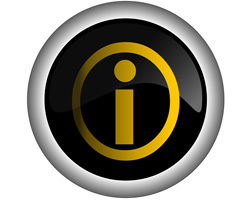 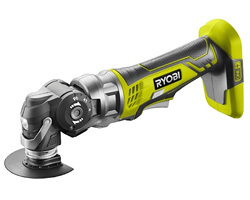 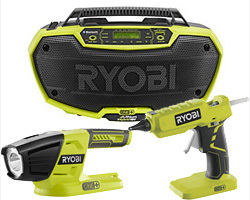 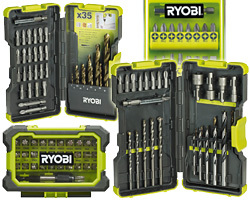 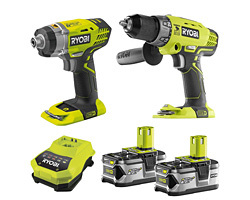 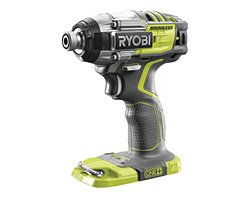 The 5Ah batteries supplied as part of this kit are completely interchangeable for use with the rest of the Ryobi One Plus Garden and Powertool range.